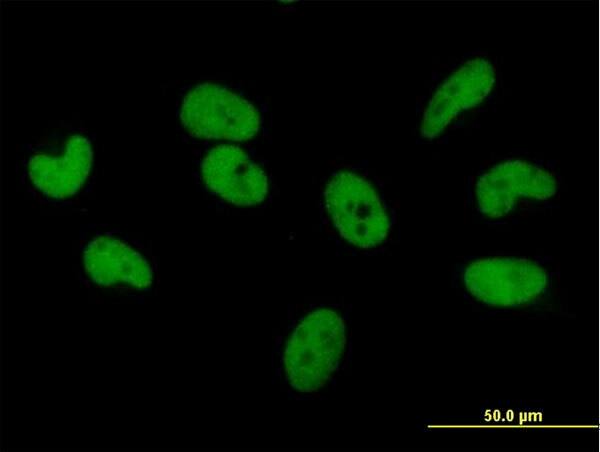 Gerhard,D.S., Genome Res. 14 (10B), 2121-2127 (2004). 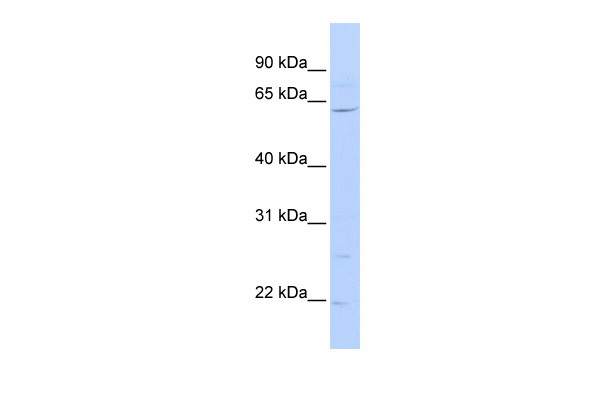 Western Blot analysis of ZNF680 expression in transfected 293T cell line by ZNF680 MaxPab polyclonal antibody.Lane 1: ZNF680 transfected lysate(58.3 KDa).Lane 2: Non-transfected lysate. 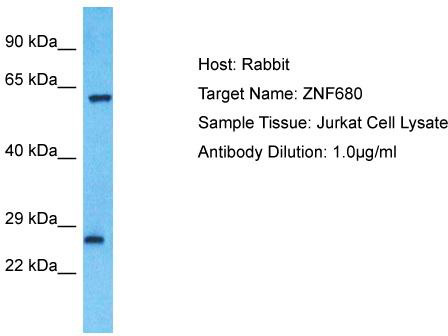 ZNF680 MaxPab polyclonal antibody. 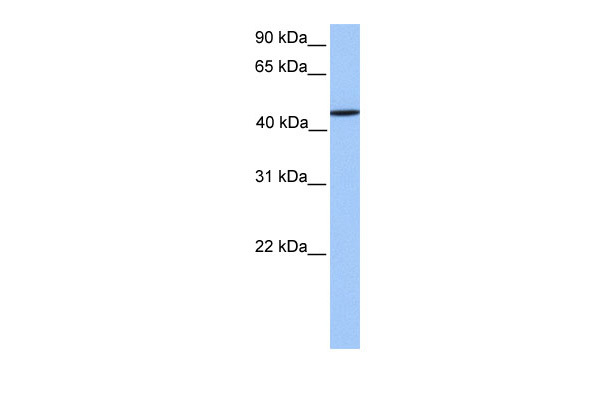 Western Blot analysis of ZNF680 expression in K-562.